by MERKS: Day 273, outfit 273. Today, I'm wearing black and red. 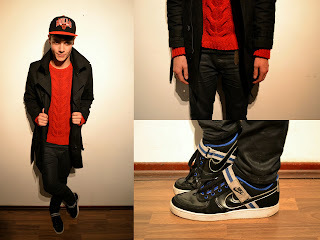 A red Zara cardigan, combined with a black trenchcoat, a black jeans and a pair of Nike's to complete this look.